We have borrowed a dog. 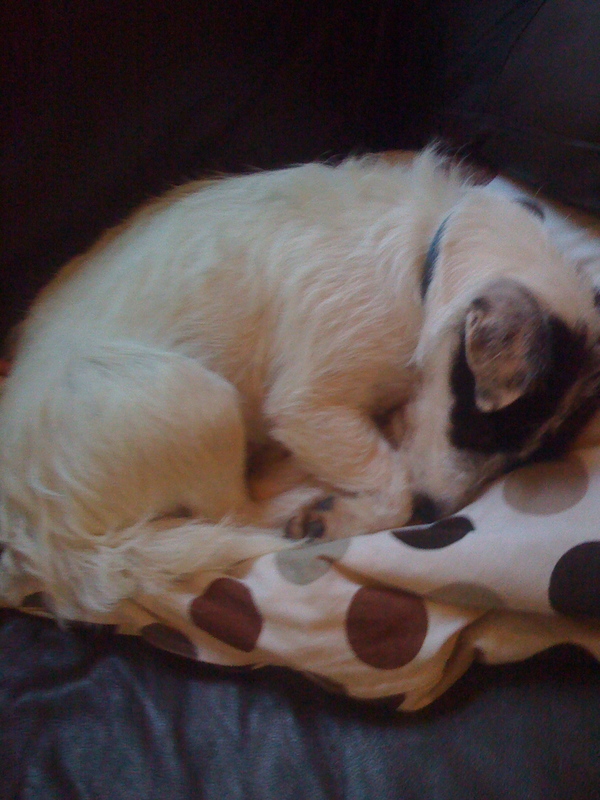 A small, young, weirdly-well-behaved little jack russell/village terrier cross. He is so good that I suspect he is a little bit slow or just internally FREAKING OUT. He just kind of hangs around, unobtrusively, and allows the children to tickle/follow/chase/wrestle/squeal/poke him, and just kind of looks resigned to it all. He has a face that says “well, what’s a dog to do?’ as he is kissed on the lips by slobbering toddlers. Amazing. He uses the middle-distance stare a lot – probably in an effort to remind himself of his proper home, with 50-something gentle owners who give him a few walks around the block and leave his endlessly fascinating “scratchy chin” and “vampire teeth” alone. Needless to say, when I dragged all three chilluns on the 25 minute sprint to school on Friday with my big bump and the double pushchair filled and a boy on a scooter zigzagging wildly and a little dog trotting out the front, I got more than my usual stares. Yes, General Public, We Are Insane. Noah is enchanted and may never speak to us again when we have to give Rocket back. Noah is not that keen on humans, really, and now he has been introduced to boy-and-dog-love, I fear we shall never compensate. Welcome to one of Life’s Greatest Truths, son – dogs are a bit annoying and do require poo-scooping, but at least they do not complain about the content of your blog/hassle you about the household accounts/refuse your lasagne. I got a call from Mulberry. My Roxane Tote, once a thing of covetable beauty, now charred and holey, cannot be repaired. And we have no insurance that will cover it. Hardly third-world-famine-type stuff, but deeply saddening all the same. So, in the spirit of Keeping Calm and Carrying On, I have decided to send the dead Mulberry to Amber, where her genius upholsterer-type father may may fashion some solution out of leathery bits, and I shall just get another one. HURRAH! Everyone wins, this way, and I get to choose between an emerald Mabel and a Mabel Hobo. Genius. I am confused. 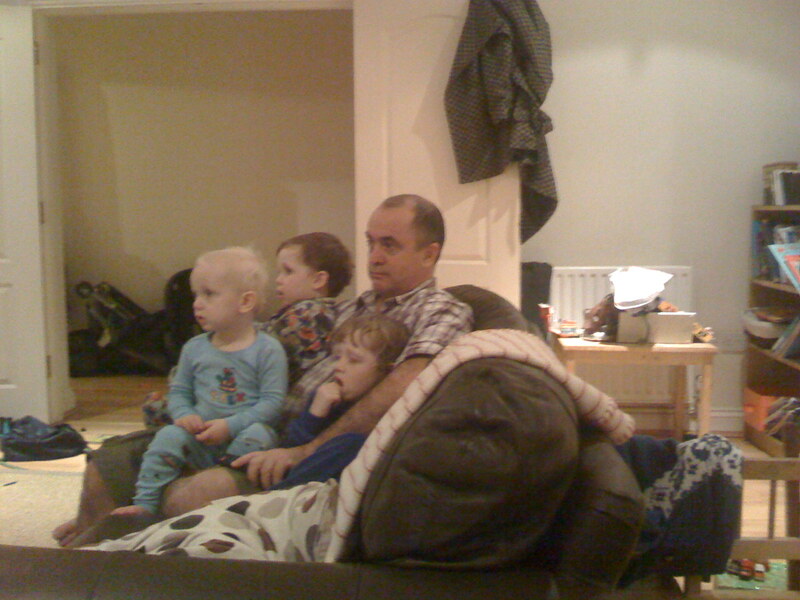 Do I despair at the overload of terrible TV and the threat to my family? Or do I just go and read Vogue and have coffee and sneak out to go raid the second-hand shops? I will report back once this conundrum is sorted. This entry was posted in Uncategorized and tagged Mulberry roxanne, rocket dog, SKY. Bookmark the permalink. Very cute dog – and I reckon you should just sneak out while the boys are occupied!! The latter, definitely the latter!!!! Love that dog rat thing, perfect for a small space. Guess that’s on the one day list ay! oh my god SKY is very important. It is the ONLY WAY you will ever have any peace. Also – how hideous you have a 25 minute commute to school. Is this the closest decent one? Farout. We can actually walk to school in about 5 minutes. Slowly. It is one of the reasons I love this village. I can leave the house at 2.58 and be at the school gate barely late at all. Not much cleavage on show around here, however. I checked. 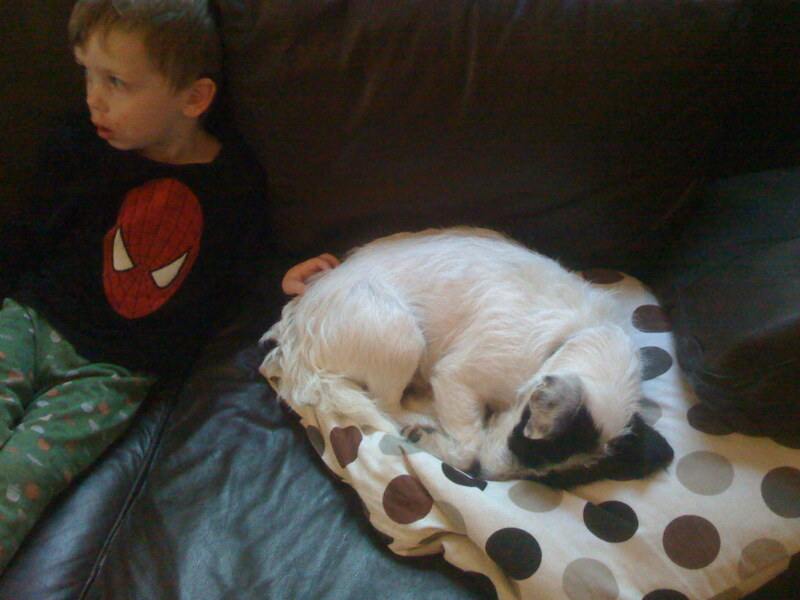 PS – today Matthew asked for a dog. Because the man on the TV has one. (see, TV can be bad.) I told him no, not now, not ever. I vote Mabel Hobo in any colour, just looked on site and I feel it is superior to plain old Mabel. that leather looks just so smooth. genius upholsterer father already has ideas re: bag repair and genius mother has ideas re:getting rid of the smell of burnt leather. hooray! here’s to more bag accidents! v.v cute dog by the way. Will the dog iron school uniforms too?